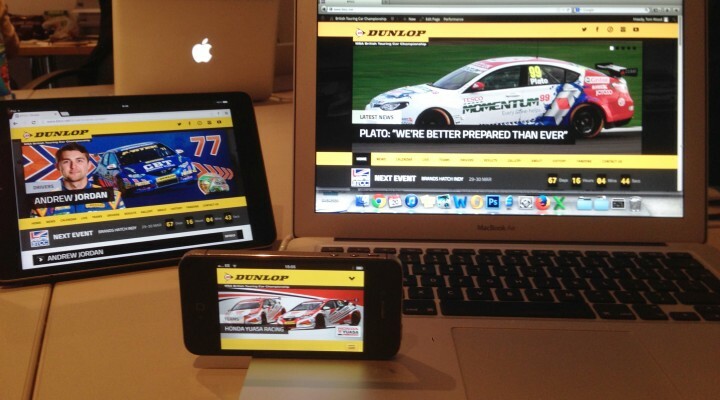 Thank you for visiting the brand new official Dunlop MSA British Touring Car Championship website. The new ‘responsive’ website is multiple device friendly and it’s appearance will evolve to suit your desktop, tablet or smart phone. To save the site as an app icon you’ll simply need to add the site to your device’s home screen. Bold headlines and large images showcase the striking new look, whilst the homepage also boasts our video feeds, an interactive driver scroller and championship table infographic. Our driver scroller will feature the full 2014 line-up once the grid is confirmed at the annual Media Day in March but click on one of last season’s top six drivers to see the new individual driver pages. Similarly each team will have its own page on the website later in the year and as a taster you can cast an eye over 2013’s top performers. As noted teams and drivers will have a much greater visual presence on the new btcc.net and each page will include bios, images, graphics and vital statistics. Similarly you can get the lowdown on our upcoming 2014 events with our detailed calendar pages including information, videos, graphics and photos of each and every circuit. Our live section will provide direct links to live video streaming of qualifying and race day action, plus live timing direct from the circuit. Live audio is another exciting new feature coming for 2014 and we’re delighted to announce that the full race weekend commentary will be broadcast live from each and every event. This means that aside from our incredible live television coverage courtesy of ITV you’ll be able to keep up to date with timing, commentary and streaming throughout every weekend! Galleries and results are slick and easy to navigate, whilst ‘Fanzone’ provides our wonderful followers with links to our social media, merchandise, newsletters, forums, wallpapers and lots more. For the first time ever a number of our social media feeds will be integrated into the site itself so you’ll be able to see our latest tweets and YouTube videos right here on btcc.net. In conjunction with our new media partners the historical data of the BTCC will also be updated over the coming months as we look to add the results, drivers and manufacturers from an illustrious past stretching back to 1958. Thanks to the site providing an optimal viewing experience regardless of the device you are viewing it from you’ll be able to keep up to date on the BTCC’s news and live action whenever and wherever! As always we appreciate your feedback so feel free to visit the ‘contact us’ page to post a comment.